One of the most important competencies a leader must master is the ability to inspire people. There is a difference between inspiration and motivation. 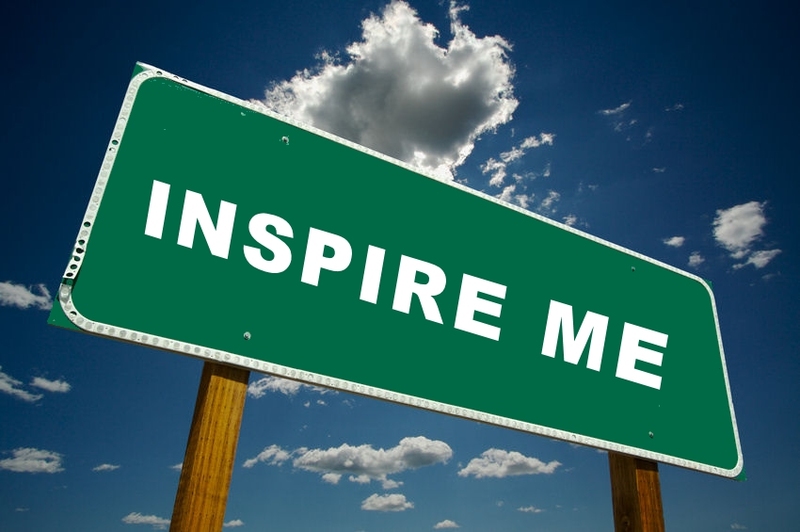 By definition, “to inspire” means “to exert a stimulating or beneficial effect upon, or to arouse with a particular emotion” and “to motivate” means “to provide with an incentive, or move to action”. The important implication to this distinction is that we inspire people by who we are and what we do (or did), and people are motivated by who they are or what they want. Therefore, for you to be able to inspire people, they need to see who you are as a person and they need to become aware of what you’re doing or what you’ve done in the past. What does being an inspiring leader accomplish? Inspirational leadership achieves a number of very important things. An inspiring leader elicits an emotional response from people. This ability is essential to effective leadership. People are moved more often and more strongly by emotion than they are by logic. When we inspire people, it creates the desire to accomplish more and helps people to overcome their challenges and fears. Becoming an inspirational leader is one of the keys to creating a high performing team. An inspiring leader can spark the imagination of an entire organization. When a leader masters the ability to deliver an inspiring message, their message can become the catalyst for a new, innovative future. Inspiration causes people to align themselves with your vision, your passion, and your cause. An inspirational leader creates belief, enthusiasm, and hope in people. When people are inspired by someone, they admire them, respect them, and often strive to emulate them. In turn, they will strive to gain your respect and admiration as well. Now that I’ve sparked your interest in becoming a more inspirational leader we need to turn our attentions to the things we can do to become more inspiring. A good place to start is by thinking of people who you find inspiring and by reflecting on why they inspire you. These people may be historic figures, present day figures, or family members. So the question is, what is it (or was it) about them that makes them inspiring? What causes us to feel that way about them? If you list all the things about them that cause you to feel that way, you’ll see that it boils down to how you feel about them as a person or what they did that was admirable. When someone has a vision, a passion, a purpose, or a philosophy and communicates it well, they draw people to them like a magnet. They inspire them to dream bigger and achieve more. Even more inspiring is when they act on that vision, passion, or purpose. Additionally, we’re often inspired by someone who was willing to stand up for someone or something. We tend to admire people like that. People who overcame adversity and succeeded in spite of it also inspire us onward to greater things. We all have challenges. Sometimes we overcome them, and sometimes they overwhelm us. An inspiring leader can make all the difference in someone’s life. And finally, we are inspired by someone with integrity. Someone who not only does what he or she says they will do, but speaks and acts in alignment with the values they say matter to them. There are few things more powerful than a person who lives by their principles. Let me offer some insights into what you can do right now to be more inspiring to the people around you. Most of us haven’t had to overcome extraordinary challenges and most of us haven’t made an impact on a global scale. But nevertheless, each of us can be an inspiring leader to our team, our company and our family. If you want to enhance your leadership effectiveness and achieve greater success, it is essential to become inspiring to others. We each tend to consider our past achievements and accomplishments as unremarkable. Unremarkable because either they came easily to us, or because we feel that anyone (and everyone) could accomplish what we did, or because we focus on (and are possibly embarrassed by) the challenges we faced rather than focusing on the fact that we overcame. Nothing could be further from the truth. Become clear about, effectively communicate, and act upon your vision, passion, purpose, or philosophy. People are attracted to and inspired by someone who believes in something and is passionate. In truth, most people aren’t passionate about anything in their life. Having and expressing a vision can be impactful, but actually taking action on what we say matters to us is very powerful. After all, actions speak louder than words. If you need a jump start towards gaining clarity about this for yourself, reflect on what advice you would give someone just starting out in business or in life. Never miss an opportunity to share what matters to you. Use stories to make your point and paint a picture with your words. Let others know about an adversity you overcame. When people hear a story of how someone overcame adversity and succeeded in spite of it, they become inspired to overcome their own obstacles and challenges. It doesn’t have to be a “crushing” issue. It can be an attitude, circumstance or belief that we overcame which allowed us to achieve what we did and become who we are today. Share past challenges that you worked to overcome. Remember, it doesn’t have to be a major life-altering challenge to have an impact on someone. Once again, use stories to make your point and paint a picture. Be willing to stand up for what you believe. People admire someone who stands up for what they believe – even if they don’t agree with them! They admire someone who is true to themselves and defends others. Don’t compromise on the principles you believe in. Stand up for someone’s rights, even if you don’t agree with them. INSIGHT #4: Act with integrity. When someone does what they say they’re going to do, it creates an impression. When they go out of their way to do what they said they’d do, it creates an impression. Acting with integrity causes people to take notice of us. When we speak and act in alignment with the values we say matter us, we make an impression on people. Make a practice of doing what you say you are going to do, become clear on what values matter to you, and work to ensure your words and actions align with who you say you are as a person. The best way to start becoming more inspiring is to take time to reflect back on your life and take stock of how you’ve changed, who you’ve become, what you’ve achieved, and what you believe in (your passions, philosophies and/or purpose). And then begin sharing it. Share it with your team, your company, and your family. Once you do, you’ll start making a greater difference in people’s lives. By the way, if you’d like help becoming more inspiring as a leader, please give me a call or contact me through the website.